Le t’s face it—we all get sick from time to time no matter how careful we are when it comes to germs and personal hygiene. Most of the time these little “flu bugs” are nothing more than a minor setback, but in more extreme cases they can develop into life-threatening complications (see “Flu Symptoms” below). In general, the typical adult recovers from the flu within a few days or perhaps even a couple of weeks, creating more of an annoyance than anything else. According to the Center for Disease Control (CDC), influenza (or simply the flu) affects between five and 20 percent of people living in the U.S. and contributes to 200,000 hospital visits each year—SOURCE. Obviously everyone is susceptible to getting the flu, but some people have a higher risk of contracting this respiratory virus than others. There is no way of knowing when and where an epidemic will occur, especially since flu seasons tend to fluctuate each year. Right now it’s still too early to know what the rest of the flu season will be like, but researchers are making predictions. As of a few weeks ago, the CDC’s influenza surveillance systems indicate “elevated activity,” which suggests that the flu season could be quite harsh this year. Researchers estimate that about half of the U.S. is experiencing high flu activity, and it’s expected to increase as the season progresses. Influenza A, or H3N2, is the most common strain of the virus so far in 2015. In comparison to other seasons where H1N1 or B viruses were more common, the CDC says H3N2 is linked to more illnesses and mortality, especially for adults age 65 years and older and young children. While new strains of the virus are constantly emerging, most flu cases seem to exhibit the same common symptoms. Flu symptoms can worsen and without treatment they may develop into pneumonia, bronchitis, or sinus and ear infections. 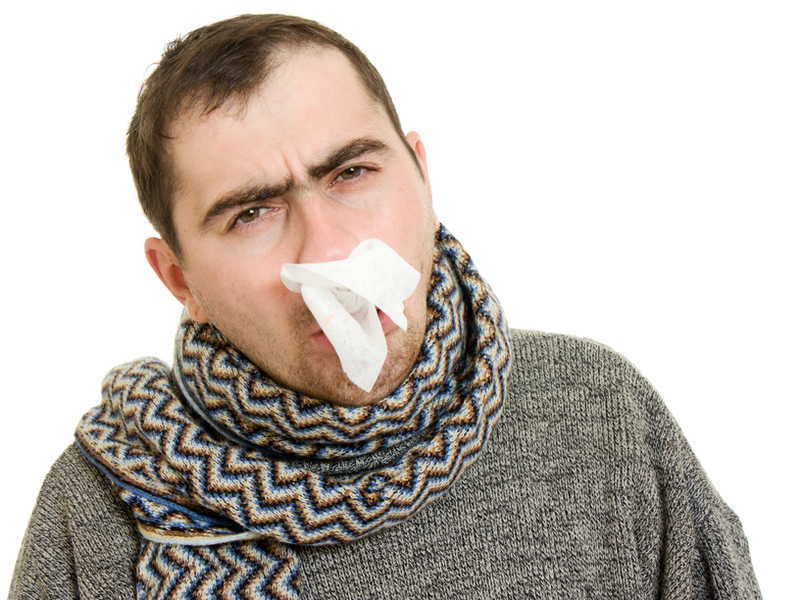 Cold vs. Flu―Is there a difference? Actually, yes. The short answer is severity. Symptoms tend to be very similar for both illnesses, but the intensity of the flu is usually more severe. Generally speaking, the common cold is mild in comparison to the flu virus and most people will not require hospitalization. Flu symptoms, on the other hand, usually occur suddenly and in extreme cases may complicate an existing medical condition (E.g., cause an asthmatic attack for people suffering from asthma). A flu shot is considered the best way to protect yourself from influenza, although it’s still possible you could get sick even after getting vaccinated. For healthy children ages two through eight, the CDC recommends using nasal sprays (LAIV), as it’s believed to be more effective than the vaccine (See: Are there new recommendations for the 2014-2015 influenza season?). Keep hand sanitizer, disinfectant wipes, and tissues handy at home as well as at the office. Cover mouth and nose (either with a tissue or an arm sleeve) when coughing or sneezing. Dr. Samadi recommends seeking treatment from a medical professional if you have a fever in excess of 100.4°F, or if symptoms persist for more than ten days even with over-the-counter remedies.